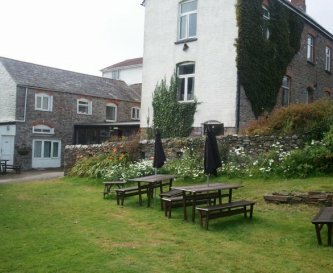 Wringford Cottages, Cawsand, Cornwall, sleeps 2-38 in 17 bedrooms. Wringford Cottages is a collection of 6 cottages which can be let individually or in any combination. 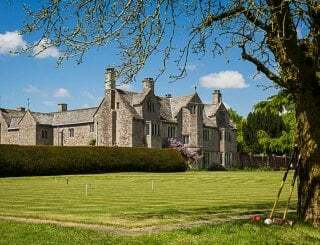 Wringford Manor, the main house, sleeps up to 10 in 5 bedrooms (a king, 2 doubles, a twin and a bunk room), 4 bathrooms and a large lounge/kitchen/dining room. Outside it has a seating area & barbecue. Sharrow Bungalow sleeps up to 10 in 5 bedrooms (a king, 2 doubles and 2 bunk rooms). It has 2 bathrooms, a lounge/kitchen/dining room and a private garden with barbecue. Wringford Cottage sleeps up to 6 in 3 bedrooms (a double and 2 twins). It has 1 bathroom, a large lounge/kitchen/dining room, a conservatory and a small private garden with barbecue. Maker Lodge sleeps up to 6 in 3 bedrooms (a double and 2 bunk rooms). It has 1 bathroom, a kitchen/dining room and a lounge. Outside it has a seating area and barbecue. Freathy Apartment sleeps up to 4 in 1 bedroom (king size and bunks). It has a bathroom and a lounge/kitchen/dining room. Forder sleeps 2 in 1 bedroom (king size). It has a bathroom, separate toilet and a lounge/kitchen/dining room. 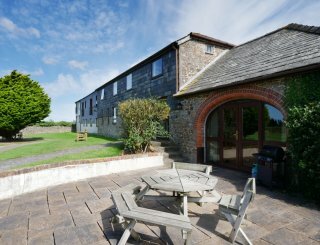 The properties are set in 4 acres on the edge of the Mount Edgcumbe country park, an area of outstanding natural beauty surrounded on 3 sides by the sea. The 6 properties are within 100m of each other, and if all of the accommodation is booked it is possible to sleep 38 in the 18 bedrooms. 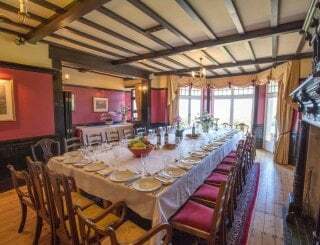 The main house also has a bar and games room available to all guests. 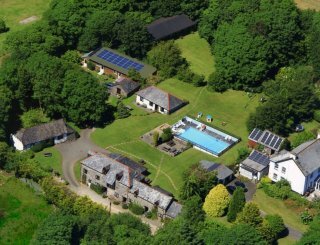 In the grounds there is a heated swimming pool and a summer house housing a table tennis table. 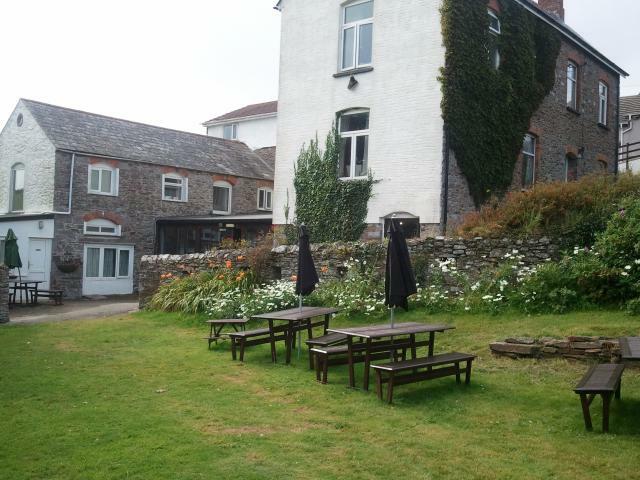 Footpaths lead from the site to Cawsand beach (10 mins) & Whitsand Bay (15 mins). Each of the 6 properties has a kitchen suitable for the number of people that can stay there. Each of the 6 properties has a dining room/area suitable for the number of people that can stay there. Each of the 6 properties has comfortable seating suitable for the number of people that can stay there. Each of the 6 properties has a freeview TV and DVD player in the lounge. Some of the bedrooms also have TVs. Free Wi-Fi. Limited mobile reception in cottages - 2 minute walk to full reception. 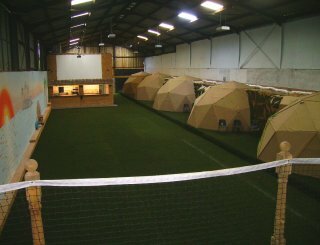 Table tennis, bar billiards, table football, darts and board games. 5 of the properties have central heating, Wringford Cottage has electric radiators and a wood burner. The properties are as follows: a 1 bed sleeping 2, a 1 bed sleeping 4, two 3 beds sleeping 6 each, and two 5 beds each sleeping 10. All linen and towels are included except towels for the pool/beach. The 1 bed & 3 bed properties each have 1 bathroom, the 5 bed has 2 bathrooms, & the main house has 4 bathrooms. No specific facilities, but some of our rooms are accessible by wheelchair. Swimming pool, games room, extensive grounds. Cots & highchairs available. Child minding can usually be arranged. Each cottage has a barbecue and seating area or garden. Extensive grounds with play areas. 10 minute walk to the village & local beaches. Heated pool in separate building. Open April through September. Plenty of on site parking. Narrow approach road is not suitable for full size coach. No smoking inside any building. Dogs allowed in all cottages except Wringford Manor, but cannot be left unattended. 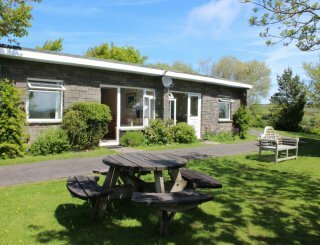 Located on the Rame peninsula on the South coast of Cornwall just over the water from Plymouth. 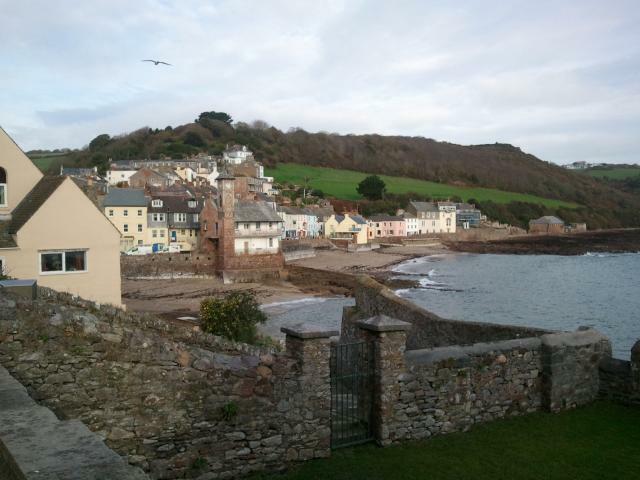 Cawsand/Kingsand 0.5 miles, 10 minute walk to pubs and the beach. Millbrook 1 mile for a decent Co-op. Torpoint 7 miles for Sainsbury. 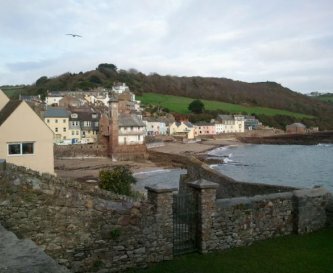 4 pubs in Cawsand/Kingsand - 10 minute walk down public footpath. Prices shown are for four cottages sleeping up to 30 people in 14 bedrooms. Please enquire for pricing for larger or smaller parties. 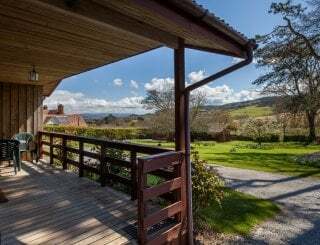 3 night minimum stay, in the summer full weeks only with changeover Friday or Saturday.